Today I’m toting a lovely little Lauren by Ralph Lauren number which I picked up whilst on holiday. The keen eyed among you may recognise it from my New York holiday post, I picked it up from Macys – a new York institution!! 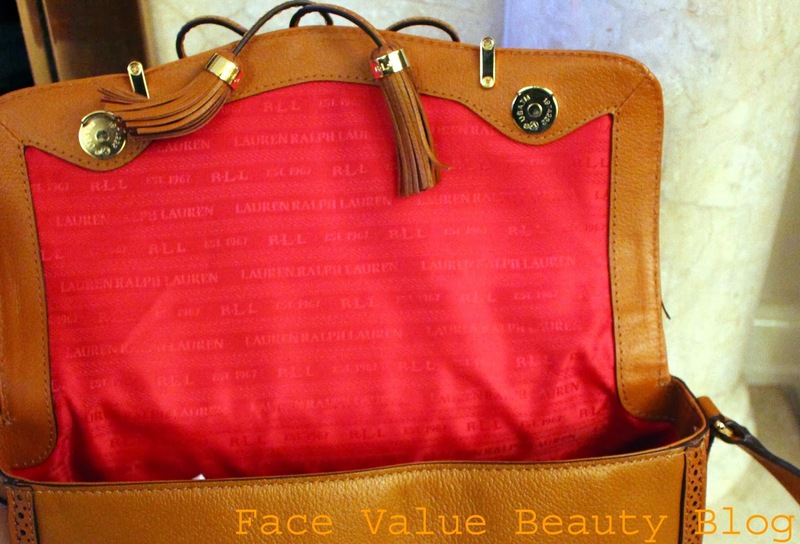 This is the Lauren by Ralph Lauren Dundee Convertible Satchel. 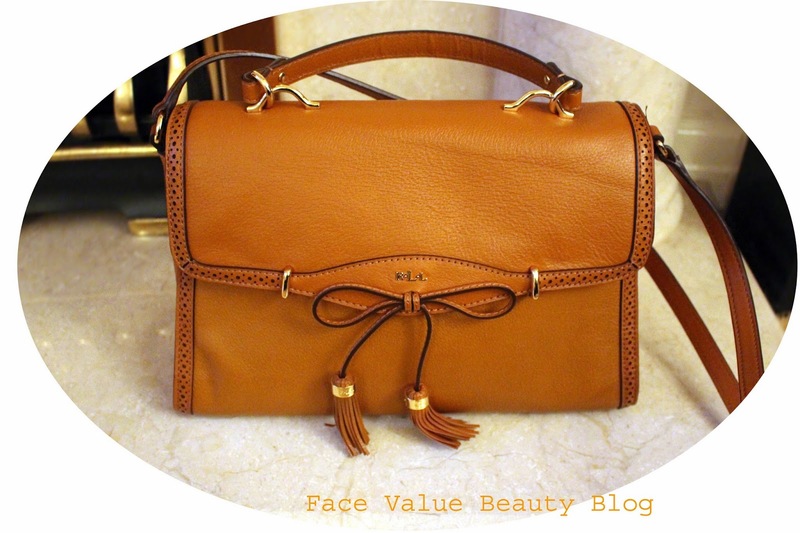 On first glance this bag is absolutely stunning – elegant yet modern, it’s the perfect handbag for both work and weekend. What am I wearing it with? The beauty of this bag is that you can team it with a smart pencil skirt and trench coat just as easily as leggings and a loose fit jumper. You can tote it on the arm, or wear it on your shoulder and today I’m teaming it with this Warehouse Salt & Pepper Biker Coat and a black pencil dress I picked up in the Zara sale. I love the lasercut detail all around the edge and the expensive gold finishes around the front. 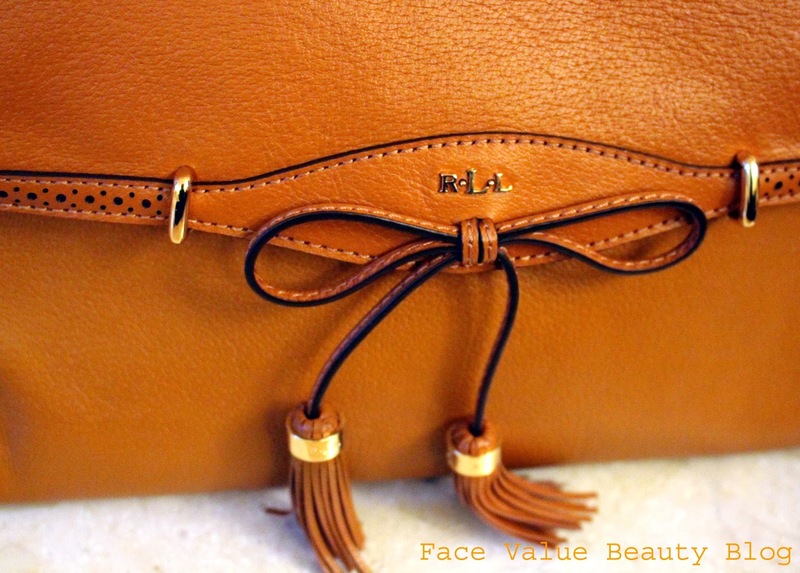 Face Value tip – Metallic hardware even makes cheap bags look expensive! But make sure the shade of gold isn’t too brassy or garish. You’re aiming for lady-like luxe, not lairy lass on the town. Oh – and the lining!! I’m a sucker for a lovely lining – even if its somewhere that no one will really see, if there’s a patterned lining, i’m 80% sold. This is a great transitional bag for both spring and autumn and you can buy it turquoise, black and also white! So that’s my arm candy today – what do you think? What I Wore… to bloggersfestival! How is the structure of this bag ? Can it stand (not collapse) pretty well while being empty ?